The desert contains many interesting areas that are worthy of exploring. It’s important to know that safety is your number one concern when venturing out into the wilderness, especially in the desert. The deserts of the World offer stunning vistas, rigorous challenges and some of the most incredible photography opportunities you can find. When starting a desert adventure, the first thing to consider is your gear. The equipment you choose for your excursion could mean the difference between life and death. Do not take the importance of your gear lightly. Make sure you have plenty of water. If you think you’re bringing too much, then you’re almost prepared. A good rule of thumb is, two is one, one is none. Meaning that if you only have enough supplies or rations for one person, you are under prepared. Comfortable shoes, and durable clothing will protect you from the sun and elements. I always wear long sleeved shirts even in the hottest climate, because your skin will regulate your body temperature much more efficiently if it’s covered from the scorching sun. Covering your skin also helps your body retain fluids much more effectively. A lightweight long sleeve shirt is highly recommended. Another important piece of equipment is a wide brimmed hat. This will block much of the sun from your face and neck, resulting in a much more comfortable experience. Sunburned skin is the last thing you want, especially if something goes wrong and your exploration turns into a survival situation. Preparing for the worst case scenario will give you peace of mind, and allow you to have a much greater chance of surviving, if the circumstances turn against you. At least one days rations of food is recommended. Sugary snacks are small and easy to carry, but don’t offer much in the way of nutrients, if things go sideways. Protein bars and also easy enough to pack along for the trip, but some fresh fruits and nuts are going to offer you the best fuel in a bad situation. Pocket knife or multi-tool, Sunglasses, Sunblock (SPF 50 or better), and a towel are good to include in your kit. Notebook and pencil (not a pen) have many purposes, from jotting down notes about your travels, to mapping your area, to leaving notes about your direction of travel and intentions, should the need arise. Journaling is also a good practice to calm the mind in stressful situations. Make sure you have a reliable light source. Not just a flashlight, remember two is one, one is none. So a flashlight, extra batteries, and extra bulb, even an extra flashlight, some glow sticks, matches and lighter, a way to start a fire, etc. Something to warm yourself if you end up stuck, such as a space blanket, are also smart items to take with you. If you think you won’t need these things, then you are likely to find yourself in a difficult situation without the appropriate gear. So think very hard about what to carry with you on your journey. The Desert is a dangerous and austere environment with many treacherous features. Good physical conditioning will improve your adventures and survivability in ways you might not even realize. A simple daily walking routine will give you many benefits and improve your conditioning, whether or not you think you need it. Walking several miles each day will get your body accustomed to travelling by foot which could become the difference between life and death in a bad situation. Walking during inclimate weather will also condition your mind to better endure the discomfort and complications inherent in Desert exploration. Having a basic understanding about the area you plan on exploring can give you the edge in surviving a difficult situation, and will most certainly give you peace of mind, should things not go as planned. This is critical to ensuring a safe journey, as panic will result in bad decisions that will only complicate a bad situation further. Knowing what plants and wildlife are in the area will give you the added confidence to remain calm under pressure, and increase the joy of exploring the area more completely. Weather conditions. Always check weather conditions for both day and night before you embark on your journey into the desert. In the summer, everyone knows the desert is hot, but just how hot it will get can surprise you if you’re not prepared. And knowing the daytime weather conditions does nothing to prepare you for spending a night in the desert should the situation require that. A good understanding of weather conditions can also help you plan for possible torrential rainfall. There is a term in the desert that can not be taken lightly, Flash Flooding. In a flash flood situation, the rains could be coming down miles, or even 10’s of miles away, and yet you could find yourself in a situation where there are clear skies and a wall of water coming at you, because you’re in the wrong place. Travelling within the boundaries of a wash or dry river bed, or even a canyon are strictly on an as needed basis because of this reason. Also, avoiding thunderstorms in the desert is definitely in your best interest. Lightning is attracted to any source of conduction that it can find, and in the desert few things are better conductors of electricity than the human body. Practicing navigation in every day circumstances will improve your ability to “know your surroundings”, even in a location you’re not familiar with. Pay particular attention to location of the sun at certain times of the day. Everyone knows the sun rises in the East and sets in the west, but where does the sun normally sit at 10:00 AM or 3:00 PM. Knowing this could help you navigate your way back to safety if the situation calls for it. 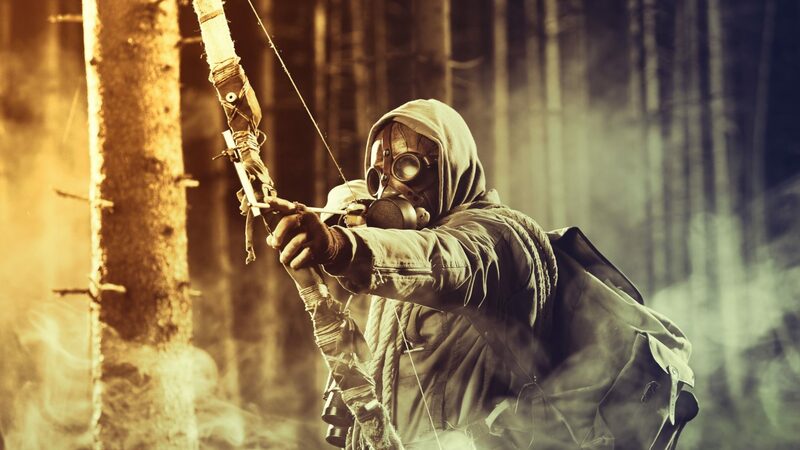 Once you’ve geared up adequately and are confident that you can survive, then it’s time to decide where to go. There are plenty of deserts around the world, and most cities are within a few hours drive. So start within an area that is close to home, just to get accustomed to trekking in the desert. Before you leave, file a “flight plan” with neighbors, friends or relatives who can alert authorities if you should miss a check-in or not come back at the appointed time. This is crucial in case you get into a situation where you need help, but are unable to call for help on your own. If someone knows where you’re going, and when you’ll be back, and you fail to make that check-in, they can notify emergency services to begin a search for you. Without this safeguard in place, you could be putting your life at risk. On the trip to your destination, be sure you have enough gas to get into and out of the area you’re heading to. This might seem like an obvious task, but if you forget and can’t get back out, it could lead to some serious problems. Also, check your tires and fluids, as well as wash your windshield at the last possible stop before heading to your destination. Consider the time before you start out on your trek. Make sure you have plenty of daylight available to make it to and from your point of interest, so you’re not walking in the dark. Note the location of the sun and the direction you’re heading. Identify major landscape features in the distance to help orient yourself. Doing these things before you start your journey, and several times throughout your expedition will help you find your way back. When you’re in an area with little or no evidence of foot traffic, marking your path is helpful. A cairn is a stack of rocks that are designed to identify a path in the wilderness. This can be crucial to finding your way back to your starting point, especially if there is little evidence of other people traveling in the area. There are many other things to consider when taking a trip into the desert. Do your homework and know the terrain that you’ll encounter, be prepared and don’t take unnecessary risks when exploring. Most of all, have fun and make great memories. 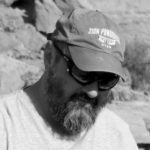 Andrew is a writer, artist and photographer from Las Vegas, NV. 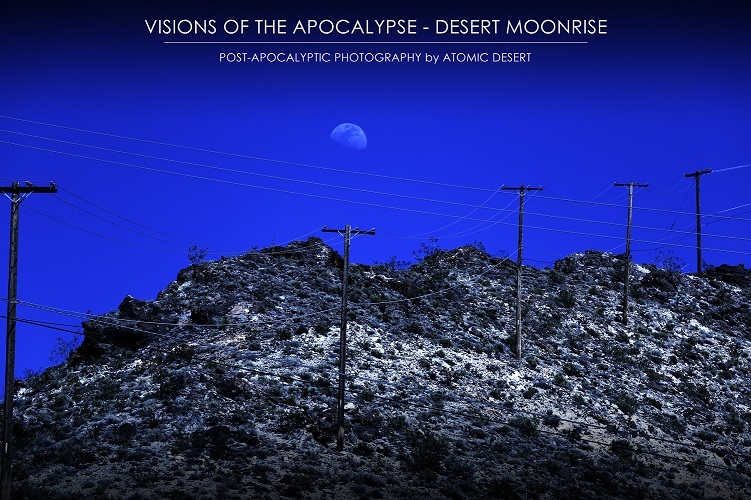 He is the creator of Atomic Desert which is an expose in Post-Apocalyptic Photography.